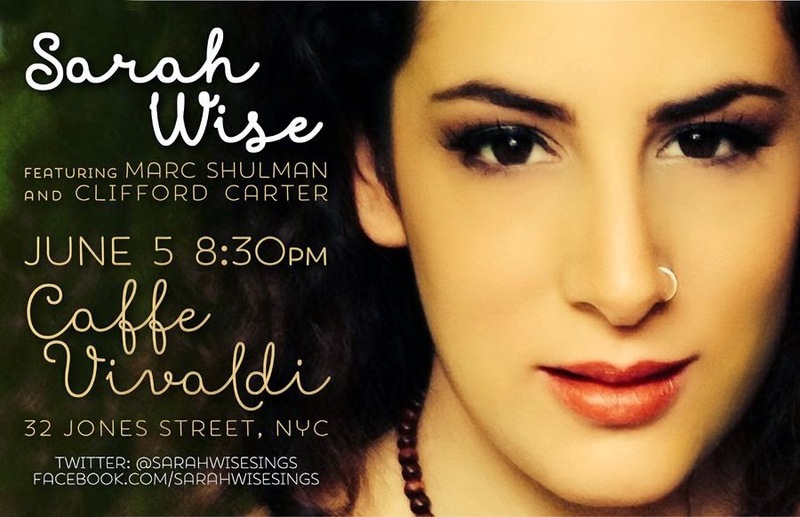 Don't miss singer/songwriter Sarah Wise performing @ Caffe Vivaldi (32 Jones St., NY) on June 5, featuring keyboard master Cliff Carter, one of my idols since his CTI sessions with David Matthews (on the legendary "Dune" album), Idris Muhammad (on the dancefloor hit "Could Heaven Ever Be Like This"), John Blair ("We Belong Together") and so many others. Top class pop music! 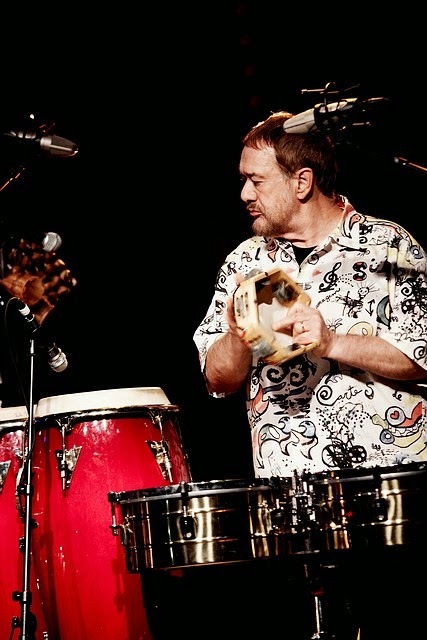 One of the world's greatest percussionists teams up with the Eyedentity act led by Diana Moreira (yes, the daughter of Airto & Flora Purim) and Krishna Booker (son of bassist Walter Booker). Presented as part of "Latin Sounds" taking place every Saturday from May 24 to August 30. Check out the full schedule of upcoming concerts. Centrally located between the beach and downtown Los Angeles, LACMA (Los Angeles County Museum of Art) features artwork covering the expanse of art history—from ancient to contemporary—and the globe. Parking is available in the Pritzker Parking Garage, located on Sixth Street just east of Fairfax Avenue and in the lot at the corner of Wilshire Boulevard and Spaulding Avenue. The charge is $10 and may be prepaid at all Ticket Offices. 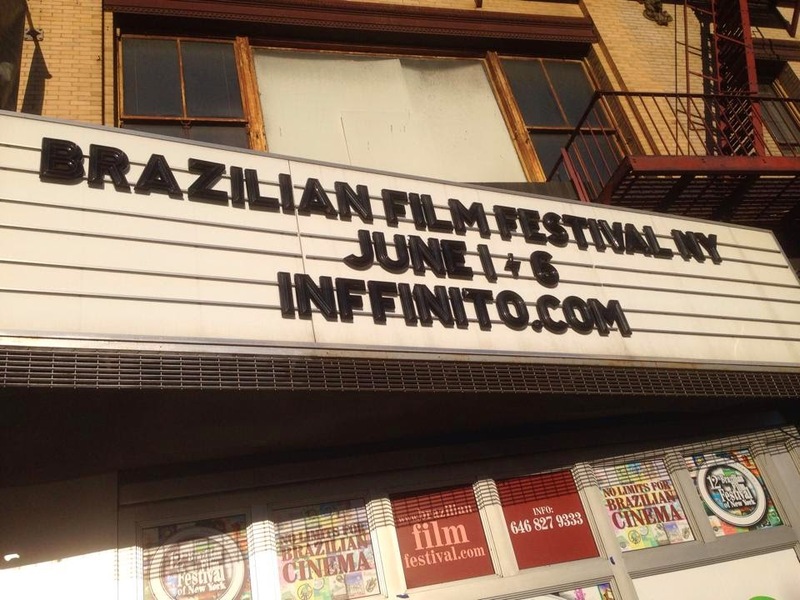 Media support for the Latin Sounds series is provided by KKJZ FM 88.1. Mindi Abair opens the Newport Beach Jazz Fest this Friday, celebrating the release of "Wild Heart"
Join us for the CD release party of Mindi Abair's “Wild Heart” at the Hyatt Regency Newport Beach Jazz Festival this Friday, May 30th! 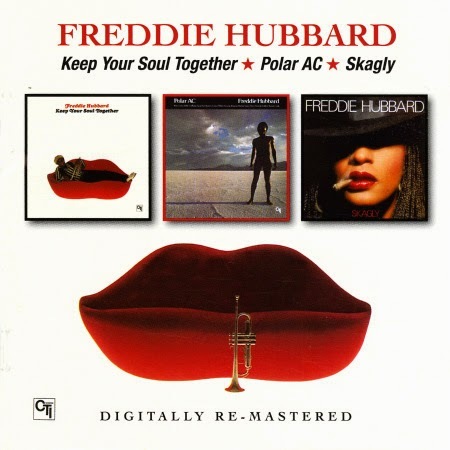 Box Set CD of the Month - "Freddie Hubbard: Keep Your Soul Together/Polar AC/Skagly"
This Beat Goes On release (catalog #1144, released April 2014 in the UK and May 2014 in the USA) features 3 entire LPs by my personal favorite trumpeter. Liner notes by Mojo columnist Charles Waring. A trio of 70's Freddie Hubbard – all packaged together in a 2-CD set by the UK label BGO (Beat Goes Public). First up is "Keep Your Soul Together" – Freddie at the peak of his 70's powers – and his fifth & last "official" CTI album, recorded in October 1973 after the ground-breaking "Red Clay," the wild "Straight Life," the Grammy-winning "First Light" and the elegant "Sky Dive." 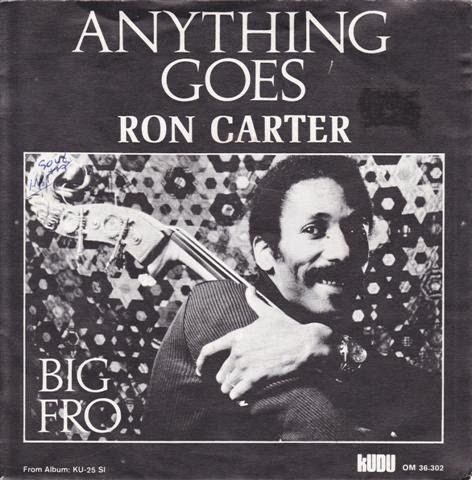 The record follows strongly in the mood that Freddie set under Creed Taylor's guidance, but with some differences: no strings, no brass section, and, last but not least, Hubbard was finally allowed to use his touring band, which consisted of George Cables (Fender Rhodes), Kent Brinkley (bass), the late Ralph Penland (drums), Juno Lewis (percussion), Aurell Ray (electric guitar) and Junior Cook (tenor sax) on four long, drawn out tracks done with lots of electricity in the rhythms, and a very cosmic approach to the solos, with Ron Carter overdubbing on a couple of tunes. 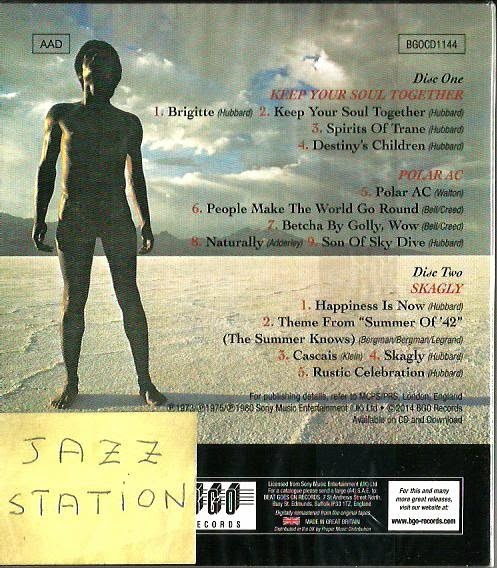 The groove is funky, yet easy, featuring playing that's very open and very soulful. Titles include "Keep Your Soul Together", the hard-bop gem "Spirits Of Trane", "Destiny's Children", and the haunting ballad "Brigitte," dedicated to Freddie's wife and later re-recorded on "The Love Connection" with a lush Claus Ogerman score. "Polar AC" is warm and wonderful work from Freddie Hubbard – a killer of a previously unreleased out-takes selection that Creed Taylor decided to release in 1975, after the trumpeter had already left CTI. The selection got a bit more of a human heart than some of the more cosmic sessions Freddie cut at the time – a bit more contemplative and introspective, but no less open-minded and electrically charged. 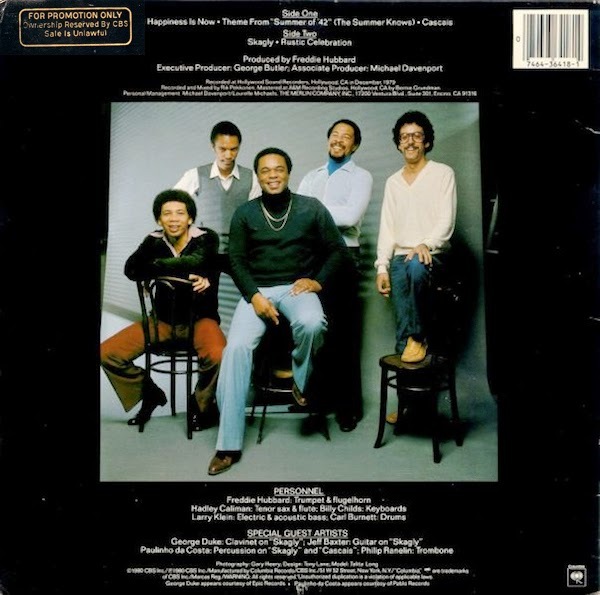 The assortment of players is all top-shelf – with Billy Cobham, Airto, Lenny White, Jack DeJohnette, George Cables, Hubert Laws, and George Benson all backing Freddie up on the set – and titles include great takes on two Bob James-arranged Philly hymns by Thom Bell & Linda Creed: "People Make the World Go Round" (that Freddie had recorded as a sideman for Milt Jackson's "Sunflower," but this time features Airto's percussion combined with Lenny White's muscular broken-beats) and "Betcha By Golly Wow" (made a hit by The Stylistics, with Airto on drums) plus Nat Adderley's "Naturally" (from the "Sky Dive" sessions, but with Keith Jarrett's piano deleted from the mix due to contractual reasons; when the complete "Sky Dive" was reissued on CD for the first time in the USA, Jarrett's piano was restored to the track) and "Son of Sky Dive", with Junior Cook shining on the tenor sax. Cedar Walton's "Polar AC" (aka "Fantasy In D"), originally arranged by Don Sebesky for the "First Light" sessions, received a lot of airplay at that time. "Skagly" (recorded for Columbia in December 1979, originally released in 1980 and reissued for the first time on CD by Wounded Bird in 2009) has a title that reads like a typo, but this low-budget album's a great set of smooth fusion from Freddie Hubbard; self-produced, and almost a summation of all the styles he'd mastered in the 70's. The session's never too over the top or too ambitious – just features Freddie working with a hip group in a laidback setting – blowing lean and mellow lines that almost take him back to his best CTI funk. The group features Billy Childs on keyboards, Larry Klein on bass, Art Pepper's long time associate Carl Burnett on drums, Hadley Caliman on tenor sax & flute, plus special guest work by George Duke (overdubbing Hohner clavinet on the title track to add a special spice), Philip Ranelin (trombone), Jeff Baxter (electric guitar) and Brazilian percussion hero Paulinho Da Costa. 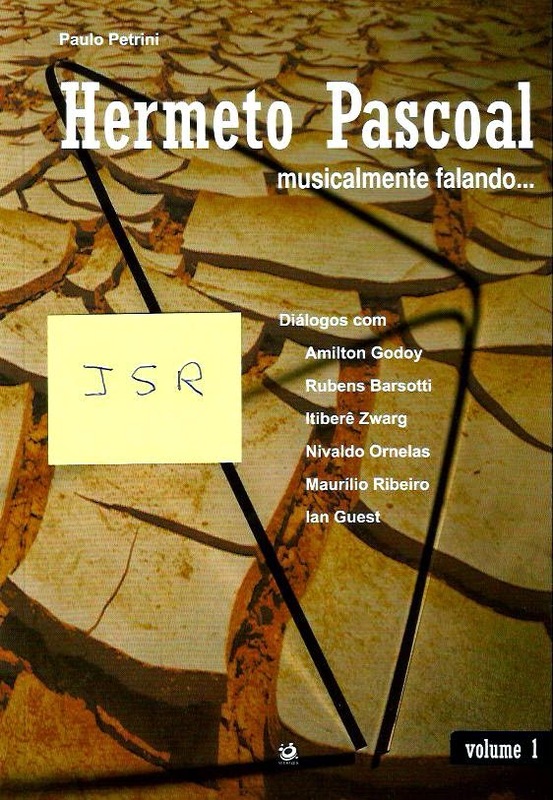 Titles include two Hubbard's originals ("Skagly" and "Happiness Is Now"), Child's "Rustic Celebration" and my personal favorite track, Klein's "Cascais". A tender rendition of Michel Legrand's famous ballad "The Summer Knows," from the "Summer of '42" movie soundtrack, completes the repertoire. 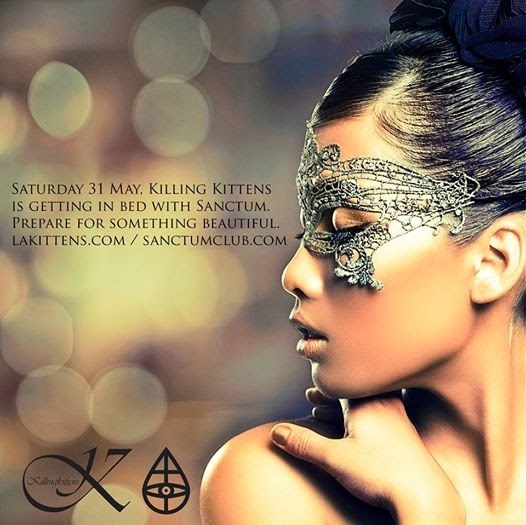 Join us tonight at Kitchen 305 for a non stop evening! Doors open at 530pm for All You Can Eat Lobster for $38, includes soup or salad and two sides! 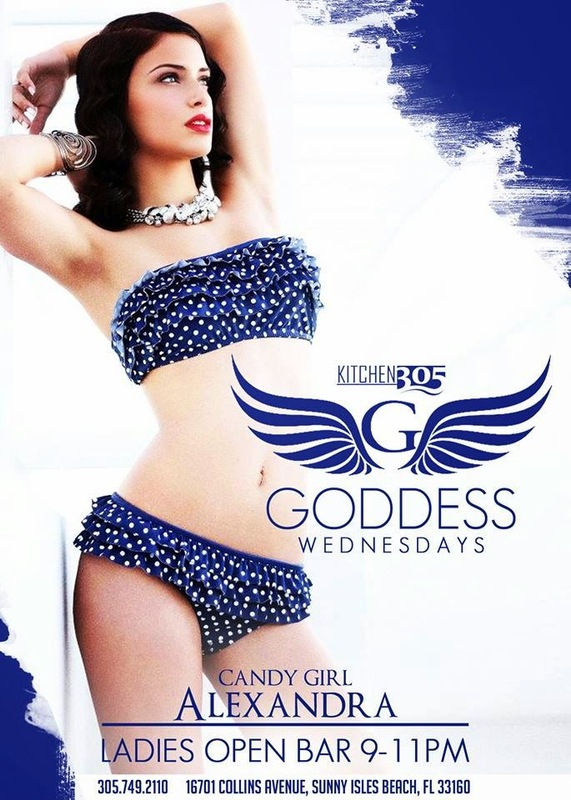 Then the Debbie Taylor Band at 8pm, followed by Goddess Night hosted by Candy Girl Alexandra and DJ HANA spinning all night! They also have the Neon Flow Party Zhantra Dancers performing live... plus, the Miami Heat Playoffs Watch Party at 830pm! 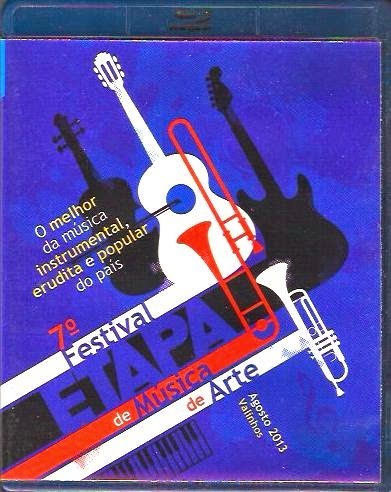 Blu-ray of the Month: "7th Etapa Festival"
Saturday 31 May, Killing Kittens is getting in bed with Sanctum. Prepare for something beautiful. Carpe Noctem! SACD of the Month - "Diana Krall: The Look of Love"
Fusion CD Reissue of the Month - "Cannonball Adderley: The Black Messiah"
Produced by David Axelrod & Cannonball Adderley for Heavy Axe / Junat Prods. Featuring: Cannonball Adderley (alto sax), Nat Adderley (cornet & vocals), George Duke (Wurlitzer electric piano), Walter Booker (acoustic bass), Roy McCurdy (drums), Airto Moreira (percussion & vocal effects). 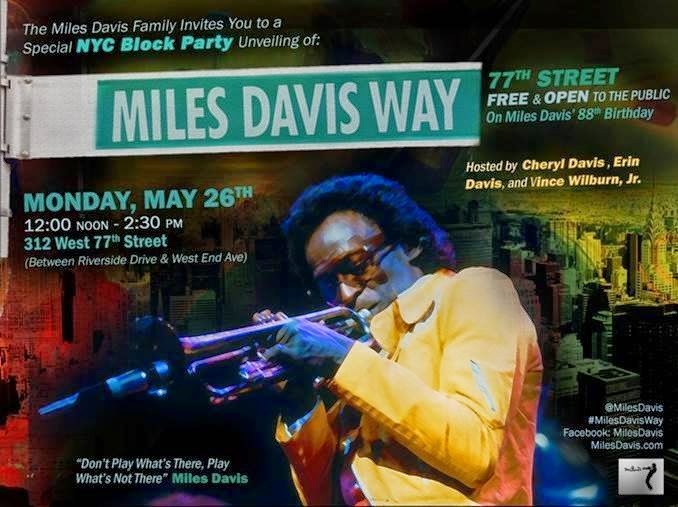 A "new" block in NY: The "Miles Davis Way"
Definitely not in a "Silent Way" anymore. On Miles' 88th birthday, 77th Street btw. 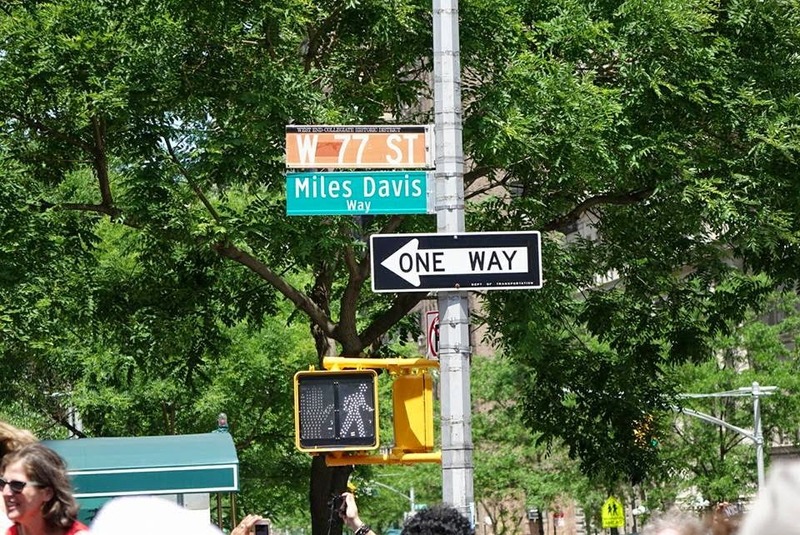 Riverside and West End was renamed Miles Davis Way in his honor! Many fans and musicians attended: Vince Wilburn Jr., Wallace Roney, Mike Clark, Jason Miles, Buster Williams, Jimmy Cobb and George Cables, among many others. Single of the Month - "Ron Carter: Anything Goes"
Book of the Month - "Hermeto Pascoal"
CD Reissue of the Month - "Montreux Summit 2"
Vinyl Reissue of the Month - "Freddie Hubbard: First Light"
Featuring: Freddie Hubbard (flugelhorn & trumpet), Richard Wyands (electric piano), Ron Carter (acoustic bass), Jack DeJohnette (drums), Airto Moreira (percussion), Phil Kraus (vibes, bells & percussion), George Benson (electric guitar), Hubert Laws (flute), David Nadien (concertmaster). 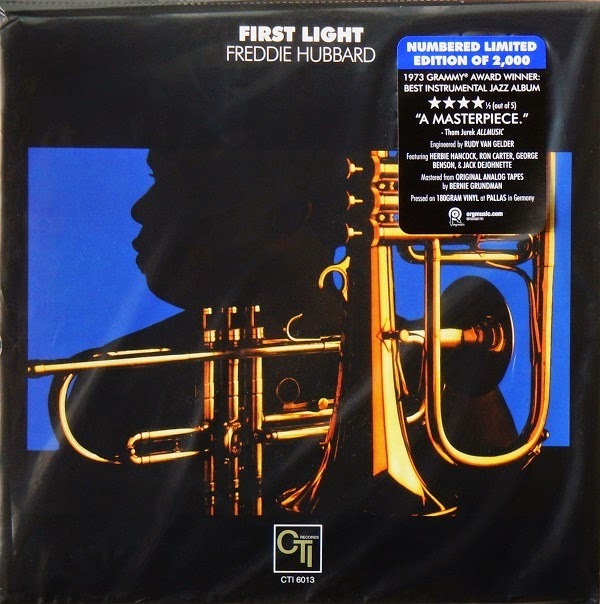 Freddie Hubbard's "First Light" -- recorded on September 14 & 16, 1971, released in January 1972 and that received a Grammy Award in 1973 as "Best Jazz Album of The Year" -- remains my personal favorite among the many great albums recorded by my personal favorite trumpet player. It was Hubbrad's third album for CTI, following the no less amazing "Red Clay" and "Straight Life," but the first one to put him in a large orchestral setting, conceived by Creed Taylor and genius arranger Don Sebesky. "The result is a masterpiece of textured sound, gorgeously far-flung charts, sweet, tight grooves, a subtle mystic feel, and some of Hubbard's most exciting playing ever," jazz historian Thom Jurek wrote on All Music Guide. 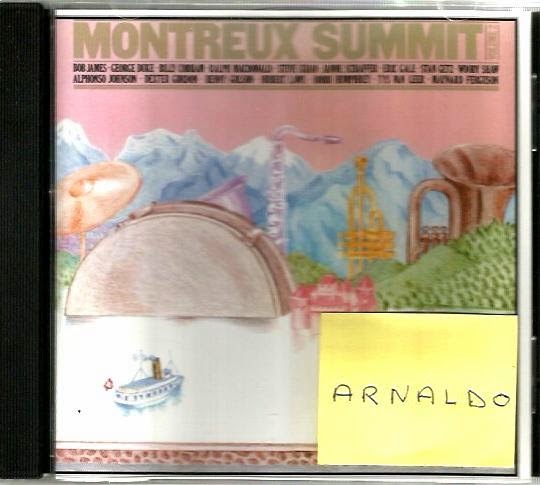 But there's a big mistake in the front cover stamp (click on the image to enlarge), though: Herbie Hancock didn't take part of the "First Light" sessions, he doesn't plays a single note in the entire album. The only keyboardist is the extremely underrated Richard Wyands (that plays Fender Rhodes throughout the LP and has a single solo spot on the last track, Bernstein's sublime "Lonely Town"), a pianist who had previously recorded as a sideman for CTI on Kenny Burrell's "God Bless The Child." On this fabulous pressing, mastered from the original tapes with utmost care, the sonic intricacies of the knotty architecture comes to fore. The results are ravishing, each note memorable. 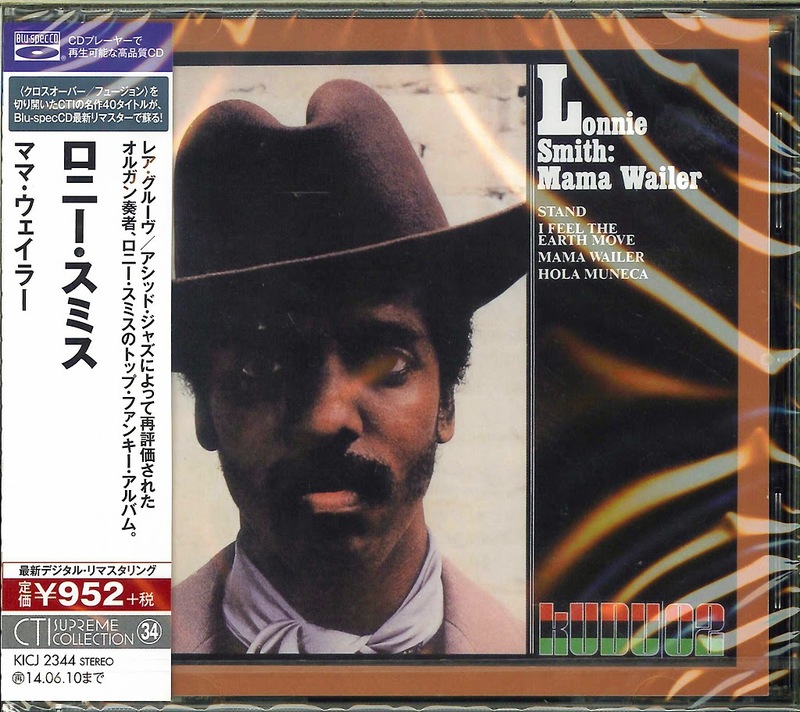 Blu-Spec CD of the Month - "Lonnie Smith: Mama Wailer"
Today, Newport Beachside Hotel & Resort Memorial Day Weekend party starts at 2pm with DJ Hana. And it will be hot! Beach & Poool Party with drink & food specials while catching some rays or watching todays sports games. 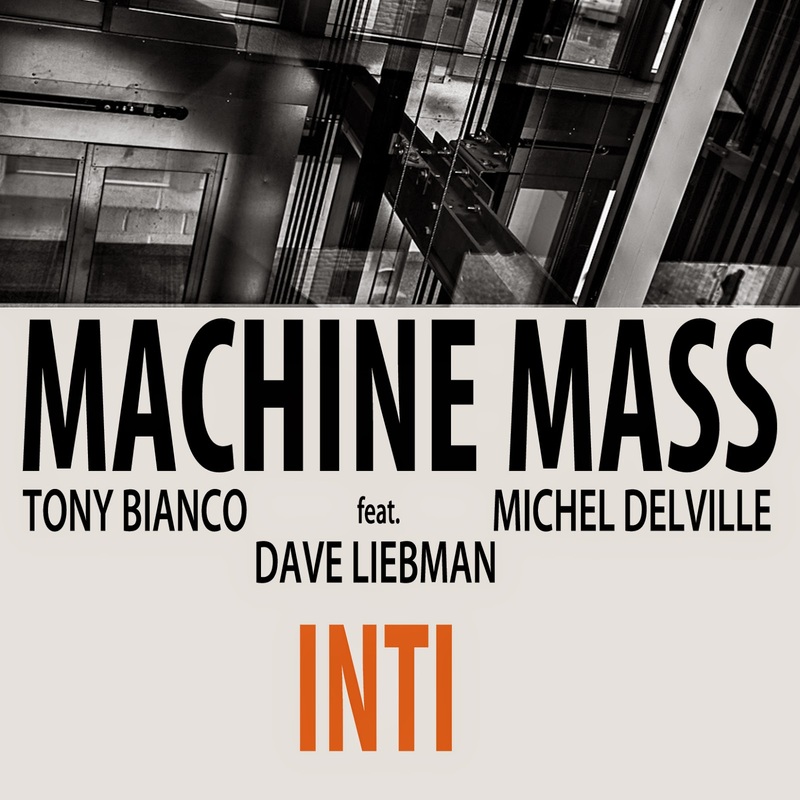 Fusion CD of the Month - "Machine Mass: INTI"
Highlights: an intriguing and extremely creative rendition of Joe Zawinul's "In A Silent Way" (yes, the now "classic" tune that the late Austrian genius composed for Miles Davis, with Liebman playing wooden flutes blended with Delville's sitar), Bianco's tribute to "(Charles)Lloyd", "The Secret Place," "Elisabeth" and the title track "INTI." 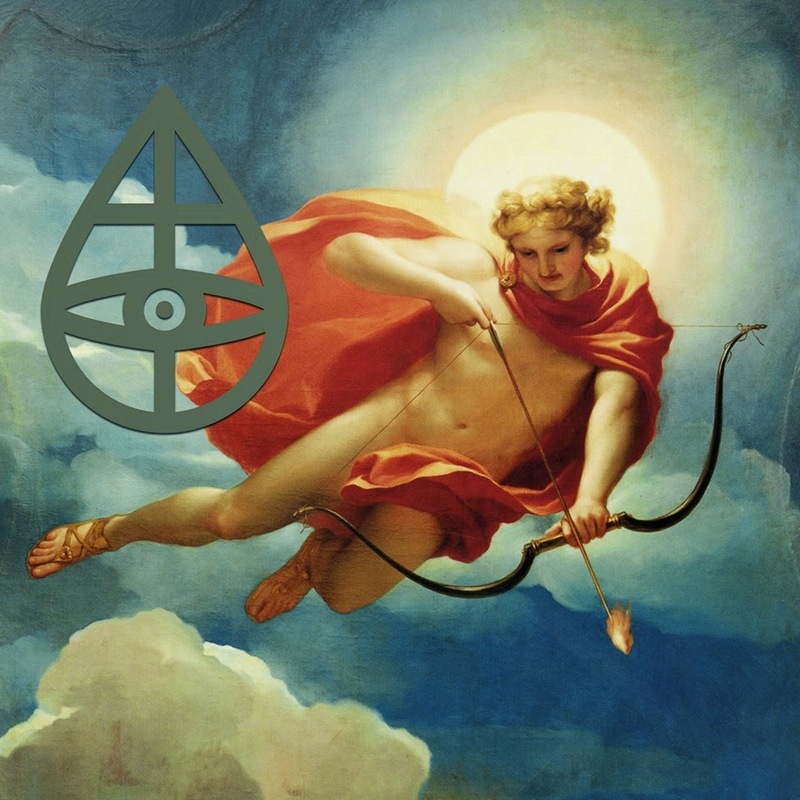 Much more than just a meeting of modern progressive jazz heavyweights, Machine Mass's "INTI" witnesses the seamless cohesion of extraordinary creativity fusing with technology. Reformed with renowned modern jazz legend, Dave Liebman, Machine Mass (formerly known as Machine Mass Trio) utilizes rhythmically-complex loops "on the fly," while fusing their spontaneous interactions into a group dynamic that challenges music-making convention in the broadest sense.... and the results are spellbinding. Recorded live in the studio with no overdubs (in just one afternoon, no less! ), this monumental session bears witness to three seasoned musicians in top form -- producing music that is fresh, challenging, profound and moving. Rules are acknowledged and rules are discarded, and the resulting sonic bouillabaisse, Inti, signals some truly exciting new directions for progressive music! Machine Mass' leader, Michel Delville was born in Liege, Belgium. He has been performing and composing alternative music since the mid-1980s. His most recent projects include the internationally acclaimed Nu-Rock-Jazz quintet The Wrong Object (founded in 2003), a band which has collaborated with luminaries of British jazz such as Elton Dean, Harry Beckett and Annie Whitehead, and toured extensively throughout Europe. Their latest studio album, Stories from the Shed, has generated countless raving reviews in such leading publications as Jazzwise, Guitar Player, Musica Jazz and All About Jazz. In 2010, he created the trio douBt with Alex Maguire and Tony Bianco. Other recent bands and projects include Belgian-Swiss punk-jazz combo TZGIV, Belgo-Dutch rock quintet The Moving Tones, Alex Maguire Sextet, and Comicoperando (tribute project to the great Robert Wyatt; feat. Chris Cutler, Dagmar Krause and Karen Mantler). Anthony 'Tony' Bianco was born in New York City. 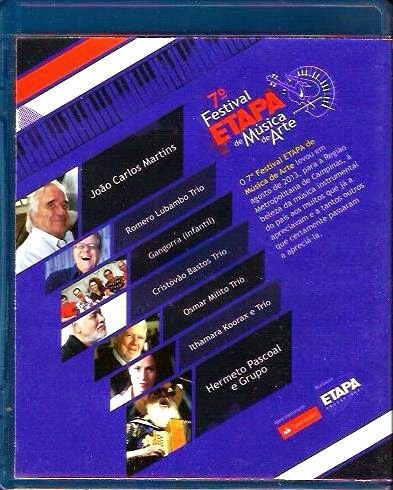 He has played and recorded with some of the most influential musicians of the international jazz scene, such as Dave Liebman, Evan Parker, Paul Dunmall, Elton Dean, Alex von Schlippenbach, Simon Picard, Reggie Workman, Paul Rutherford, Keith Tippett, Paul Rogers, Elliot Levine, Marcio Mattos, Luther Thomas, Jay Oliver and John Edwards. The sheer diversity of his discography reflects his need to be “loose and tense, free and strict” combine the sounds of straight and free jazz, closed and open form. His most recent releases include douBt's debut album Never Pet a Burning Dog (with Alex Maguire and Michel Delville), "Vesuvius" (Alex von Schlippenbach/Paul Dunmall/Paul Rogers/Tony Bianco), "Line Ish" (Tony Bianco/Dave Liebman/Tony Marino) and "In a Western Sense," as well as the more groovy and post-Milesian experiments of "Free Beat" (with the late Elton Dean, and John Wilkinson) and "Monkey Dance" (feat. Dave Liebman). Dave Liebman is a living jazz legend whose list of album appearances is a "who's who" list of the greatest modern jazz luminaries over the last five-plus decades. In a storied career which started back in 1967 (with his "Open Sky" trio, starting a long-standing musical affiliation with the great jazz drummer, Bob Moses), Dave has appeared as a band member or featured sideman with Miles Davis, John Abercrombie, Jack DeJohnette, Pat Metheny, Eddie Gomez, Wayne Shorter, Ritchie Beirach, the Quest quartet and many more. Dave has traveled the world, many times, as an ambassador of jazz, both as a performer and an instructor. He has received numerous awards, has been inducted into the Hall of Fame of the International Association of Jazz Educators and was twice nominated for Grammys. His list of accomplishments is staggering (far too extensive to list here!) ... to view a more comprehensive biography of the incredible body of work amassed by Dave Liebman, CLICK HERE. 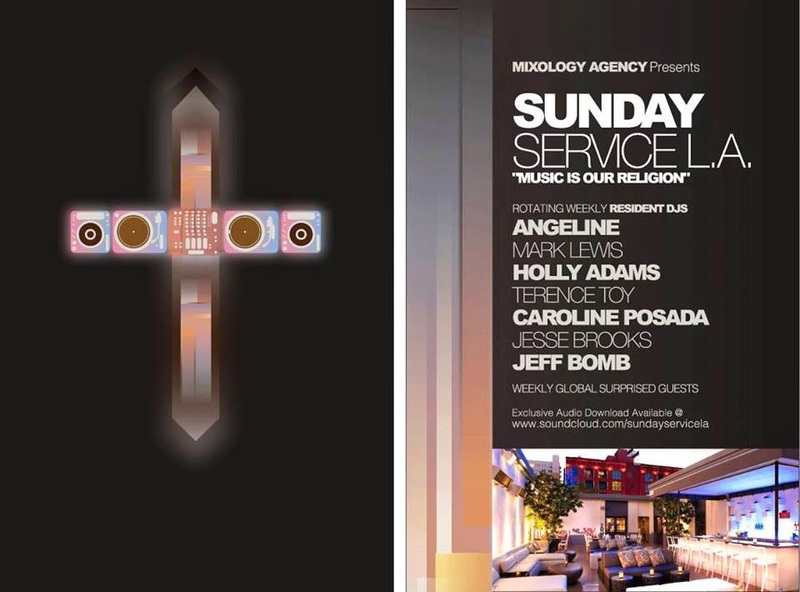 Mixology Presents "Sunday Service LA: Music Is Our Religion"
SUMMER IS NEAR AND LA'S MOST INTIMATE & EXCLUSIVE DAY PARTY IS BACK! Brunch & House Music Patio 11am till 6pm with my dear friend and SuperDJ Angeline Smirnoff. Incredible vibe, great people, top DJs. 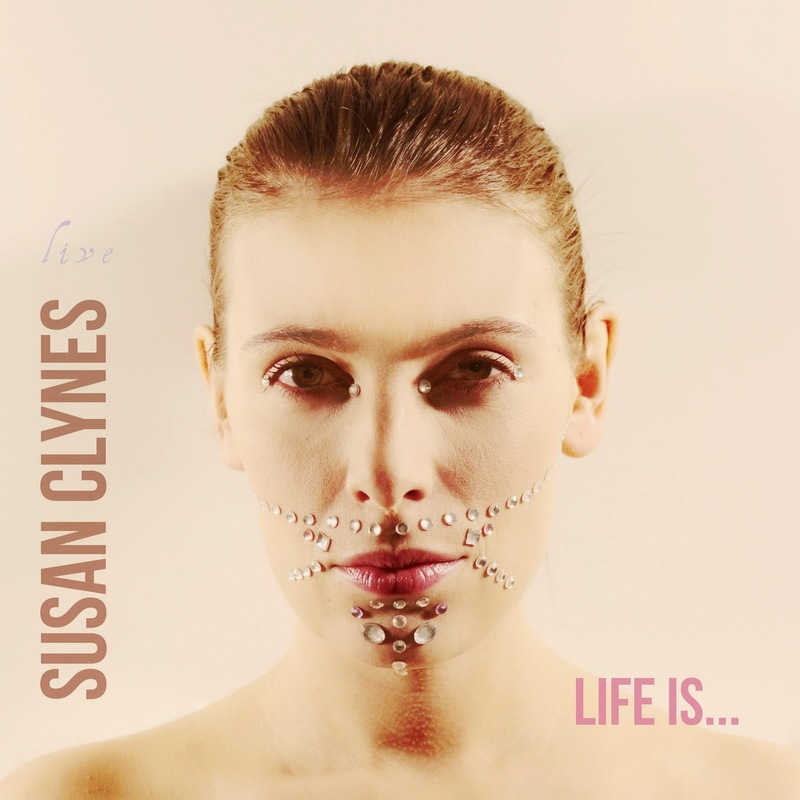 Vocal CD of the Month - "Susan Clynes: Life Is..."
Produced & Composed by Susan Clynes. The NY-based label MoonJune Records is releasing the international debut of the multi-talented pianist, vocalist and composer, Susan Clynes. On her second album ever (and Susan's sparkling U.S. debut), she showcases her evocative, compelling stylings (on both vocals and piano), in a set that is as diverse and genre-eclipsing as it is emotive and powerful.After teasing listeners with a guest vocal appearance on The Wong Object's "After The Exhibition" (featured on the track, "Glass Cubes," penned by her husband, Antoine Guenet), Susan's talents are featured, front and center, on this inspired performance.There's an almost telepathic synergy to the musicians' performances that emerges, as acute listeners will quickly discern. The music is bold, adventurous and unafraid to tread anywhere. Susan Clynes is a Belgian singer, pianist and songwriter who is forging her own path in music. After taking classical & jazz piano lessons and attending jazz workshops while in high school, Susan chose to follow her heart: shunning a more traditional course of university studies and career path in order to study music composition, and earning a Master's Degree at the Ghent Conservatory. In the early stages of this pursuit, Susan released her first (and only previous) album -- a piano trio effort, 2005's "Sugar For A Dream." It was the momentum of this album and her dreams of becoming a famous songwriter (in the commercial / alternative vein) that propelled her through Ghent. While she is clearly an accomplished performer, with a style all her own, songwriting remains her passion: "I want to make music that bridges the different worlds of songwriting and instrumentals of compositions and improvisation. I want to talk to the heart but not forget there’s also the mind." She is clearly a risk-taker, but also one who embraces and savors each opportunity that presents itself; life is too short to entertain notions of fear or intimidation. A positive, upbeat person, and an intelligent, articulate artist. Yvonne Black's new mix is ready for download! Click here for a free promotional download of DJ Yvonne Black's new mix! 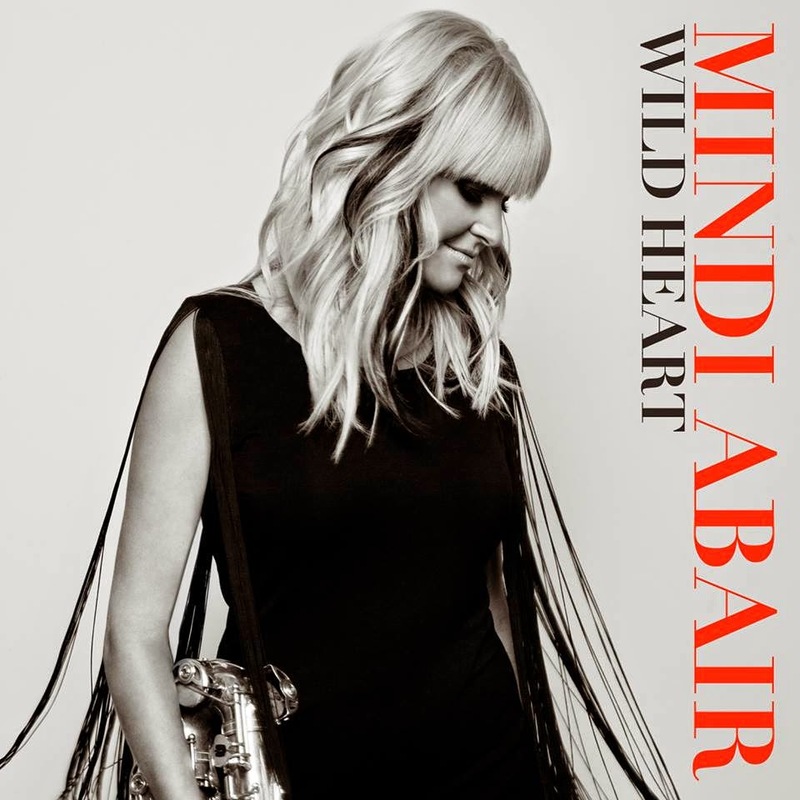 Join us for the World Premiere of Mindi Abair's upcoming release "Wild Heart"
Btw, speaking of great female saxophonists, catch the world premiere of Mindi Abair's upcoming album, "Wild Heart," exclusively on SmoothJazz.com with Sandy Shore. 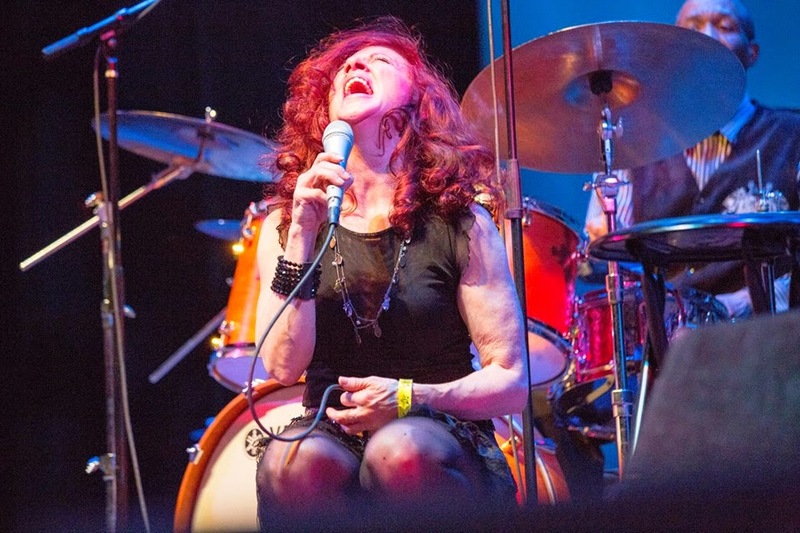 Enjoy a track by track presentation of this unleashed and plugged-in project where Mindi blends her passion for pop with her rock roots and jazz journey, featuring amazing special guests including Gregg Allman, Aerosmith's Joe Perry, Jim Peterik, Booker T., Trombone Shorty, Keb' Mo' and more! Tune in and let Mindi tell you personally about how wild her heart is and how rewarding it was to collaborate and record "Wild Heart" for HeadsUp Records, a milestone in her solo career. SmoothJazz.com has the exclusive World Premier of the album on May 24th. You can purchase the CD in advance now in the Listening Loft, and on iTunes and MindiAbair.com! Available everywhere Tuesday, May 27th, 2014! 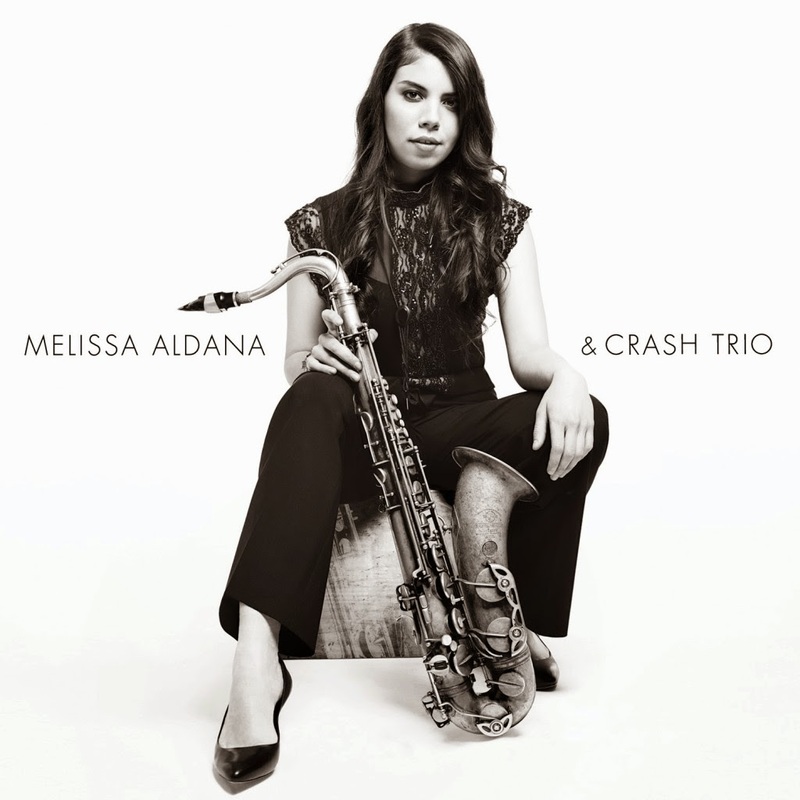 In September 2013, Melissa became the first female instrumentalist and first South American ever to win the prestigious Thelonious Monk International Jazz Saxophone Competition. Judges for the competition included Jane Ira Bloom, Branford Marsalis, Jimmy Heath, Wayne Shorter and Bobby Watson. In addition to a scholarship to the Monk Institute, Melissa won a recording contract with Concord Music Group. Born in 1988, Aldana began to play the saxophone as soon as she was able. 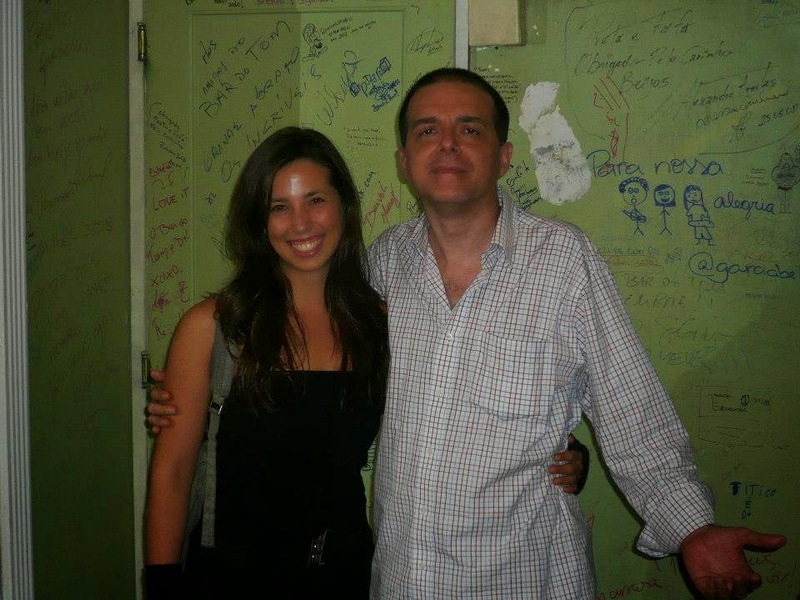 She was taught by her father Marcos Aldana, who was also a renowned jazz saxophonist and sought out teacher in their hometown of Santiago, Chile. By age 13, Melissa was frequenting the jazz clubs in Santiago with her father and by 16 was headlining the Club de Jazz de Santiago, which, at the time, was the center of the Chilean jazz community. In 2005, with help from Panamanian jazz pianist Danilo Pérez, she procured auditions at the Berklee School of Music and the New England Conservatory. She was accepted into both and chose to attend Berklee, from which she graduated in 2009. Pablo Menares is one of the most important bass players in Chile. His bass playing is considered to be elegant, musical and lyric, while firmly rooted in swing and polyrhythmic concepts. Menares has performed and/or recorded with all the leading jazz musicians in Chile and has also performed at major jazz festivals all over South America. Since moving to New York City in 2009 he has become a sought after bass player for both Jazz and Latin music. He has performed in many of NYC’s most notable jazz clubs including Lincoln Center, Jazz Gallery, Smoke, Smalls Jazz Club, Fat Cat, 55 Bar and world famous venue Carnegie Hall. He has performed with such jazz luminaries as Sam Yahel, Arturo O’Farrill, Randy Brecker, Aaron Goldberg, Greg Hutchinson, Claudia Acuña, among others; and has toured throughout North America, becoming an increasingly important presence in the jazz and Latin music scene. Francisco Mela is a favorite among jazz’s elite instrumentalist, including Joe Lovano, Kenny Barron and McCoy Tuner, all of whom cite his charisma, sophistication and life-affirming spirit as an extension of his incredible talents as a composer and drummer. Born in 1968 in Bayamo, Cuba, Mela moved to Boston in 2000 to pursue a degree from Berklee College of Music. Since then, he’s made quite a name for himself by becoming an integral part of Joe Lovano’s quartet, joining McCoy Tyner’s trio and developing himself as a band leader. Mela has released three albums, all receiving compelling critical acclaim. His latest project, Cuban Safari, is an amalgamation of his favorite bands that inspired him to become a drummer – Miles Davis’ fusion group featuring Chick Corea and Keith Jarrett, Weather Report, and the Latin- jazz super group Irakere. Nikki Armstrong & Friends! An evening of Blues/rock and R&B featuring Mark Brandenburg, Lee Marvin and Charlie Stewart. And guests sitting in! Tomorrow night, May 24 @ The River Club (11 Burd St, Nyack, New York). 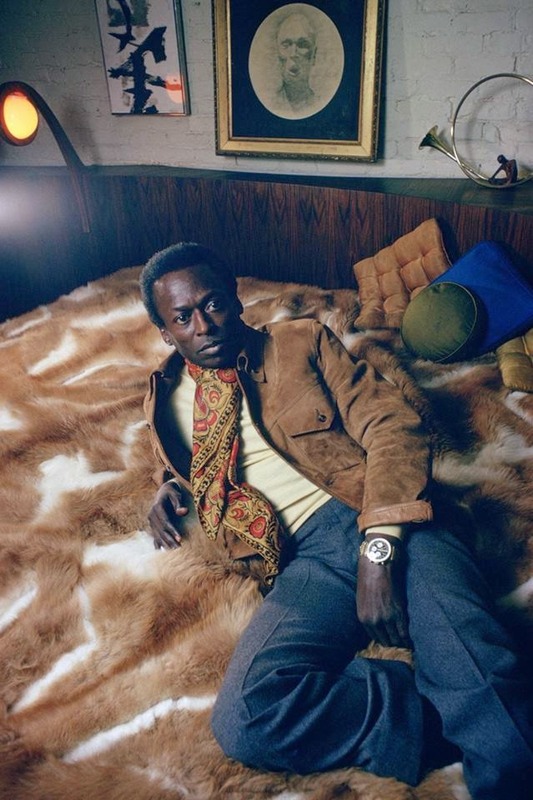 Miles Davis remains the only so-called jazz artist ever to be inducted into the Rock & Roll Hall Of Fame. Join us and special guests for the unveiling of #MilesDavisWay in NYC on May 26! West 77th Street on MIles' 88th Birthday. 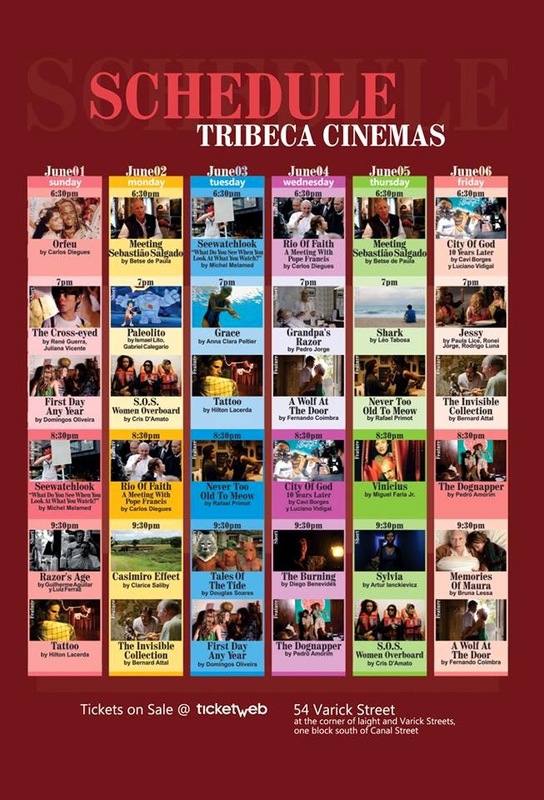 12 Noon To 2:30pm - 312 West 77th Street (Between Riverside & West End). The “Jazz: No Language Required” Bloggers Tour is being presented by the Mutual Musicians Foundation International (MMFI) and is designed to utilize the social media avenues (YouTube, Twitter, Facebook, etc.) to build awareness of the upcoming 100th year celebration (2017) of the Mutual Musicians Foundation in American history, Thursday and Friday, June 19th and the 20th, 2014. All events are free and open to the public. Six national bloggers and bloggers locally are scheduled to participate in the tour. “The tour is the first of a series of events over the next three years leading up to our global centennial celebration that is certain to bring jazz and music lovers from all parts of the globe,” said Anita J. Dixon, Executive Director of the MMFI. 10:00 to Noon-Tour begins at the Mutual Musicians Foundation 1823 Highland Ave.
Tour of 18th & Vine and 12th St. 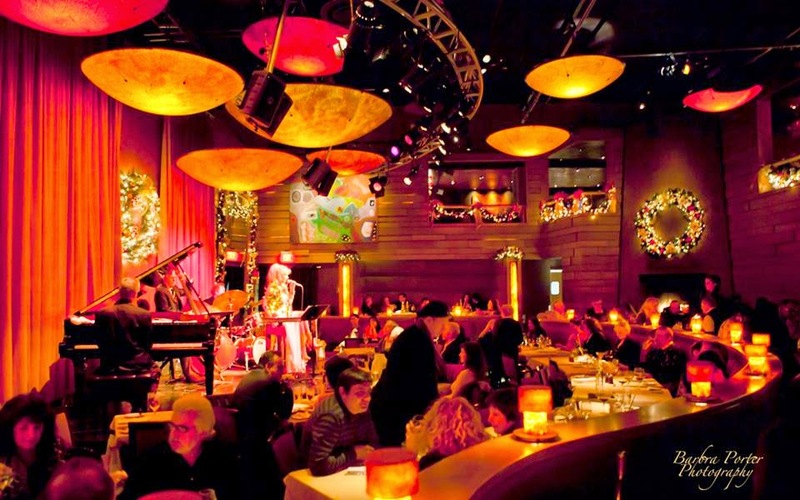 Historic Jazz district to include the Mutual Musicians Foundation National Historic Landmark. Here we will hear from the Freedom Network Foundation who installed free wifi for three blocks, bringing jazz to the urban core’s youth and the importance of “bridging the digital divide” which preserves the art form in the land of its origins. Stanley Crouch, noted New York Times Jazz critic and author for over 40 years has written a book entitled “Kansas City Lighting: The Rise and Times of Charlie Parker along with local professor Chuck Haddix of the University of Missouri Marr Sound Archive who wrote a book entitled: “Bird: The Life and Music of Charlie Parker. These two have agreed to occupy the same stage and discuss one of the most prolific innovators of jazz to come out of Kansas City. What Happened to the Black Musicians Local Unions? 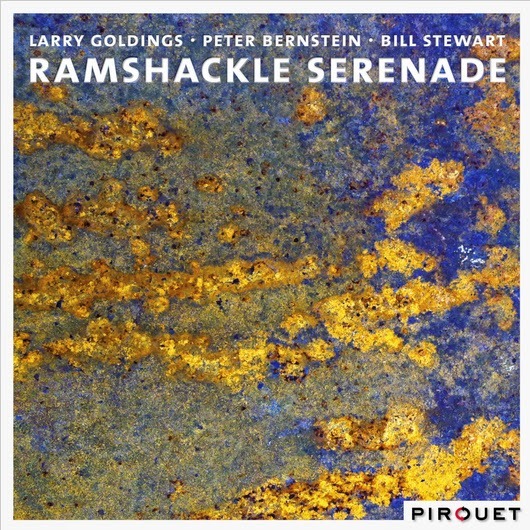 Instrumental Jazz CD of the Month - "Goldings, Bernstein & Stewart: Ramshackle Serenade"
Highlights: the standard "Sweet and Lovely," an extremely subtle jazzy version -- totally unexpected & musically surprising -- of Antonio Carlos Jobim's "Luiza," Horace Silver's ballad "Peace" (the best rendition since Chet Baker's version for Enja), and Goldings' tribute to "(Max) Roach." This trio is an unusual camaraderie of world-class players, three of the world's best players in the current jazz scene. From the moment you first hear the trio you can sense the deep respect the musicians have for one another. Three musicians who never make a big deal about what they are up to, thereby generating an infectious strength through their extraordinarily subtle control of all the musical parts. Their intensely sensual music grooves and glistens. With the trio's extensive use of the music's dynamic possibilities, the passion and joy of this amazingly versatile instrumental lineup (keyboardist Goldings focused on the Hammond organ) is there for all to hear. Sophisticated music - just let yourself go, and enjoy. Give yourself the pleasure & enchantement of several repeated listenings of "Luiza." So far one of the best releases of the year. Larry Goldings, Peter Berstein, and Bill Stewart are an extraordinary team. Here you have everything that the traditional "organ trio" (organ, guitar, and drums) has to offer - exciting grooves, rich, tasty, sumptuous sounds. The trio members are among the strongest musical personalities of their generation. 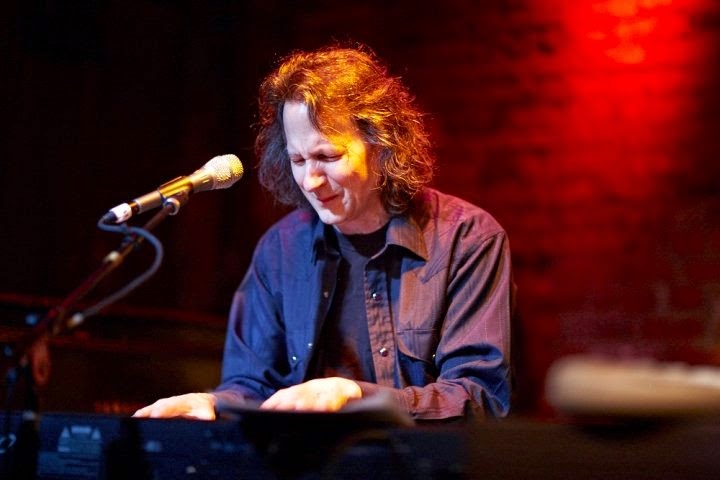 Born in Boston, Massachusetts, in 1968, Larry Goldings has made lush, funky, bluesy, expressive music as well as attempted freer explorations in jazz with the likes of Maceo Parker, John Scofield, Steve Gadd and Jack DeJohnette. Born in Des Moines (Iowa) in 1966, Bill Stewart has worked with Joe Lovano and Dave Holland, and, like Goldings, has worked with Maceo Parker and John Scofield (albeit not at the same time). Stewart has recorded a CD under his own name, "Incandescence", for Pirouet. The album features Larry Goldings and pianist Kevin Hays, and was lauded by the press. Peter Bernstein, a New York City native, has worked with such diverse musician as Diana Krall, Lee Konitz, Roy Hargrove, and Brad Mehldau. He is one of the most versatile and on-demand guitarists on the world scene. Originally he studied piano and then switched to guitar at the age of 13. His precise and melodically sensitive play was highlighted by no less than the great guitarist Jim Hall. After having performed concerts with him in the 90's, Bernstein extoled Hall as "the most impressive guitarist" he had ever heard. One of our favorite singers, Icelandic Jazz Princess Anna Mjöll will be back tomorrow night @ Herb Alpert's classy Vibrato in Bel Air, California. Saturday, May 24, 2014, 9pm.